Ravi Knypstra was born December 9th 1970, and raised in the entertainment capital of the universe as we know it: Los Angeles. He was born on Sunset boulevard (in a hospital formerly known as Cedars of Lebanon, now known as Cedars-Sinai), and grew up in North Hollywood. At the age of six Ravi started playing the trumpet and played all the way through his first year in college, when he realized that trumpet players are nuts, and that the bass, though it plays a support role in almost all forms of music, instead of a lead role, plays in fact a sub-melody to the actual melody, and when played well, actually has the power to steer the music in more directions than lead instruments do. He played in blues, country and rock & roll bands for the first couple of years he spent as a bass player, playing all over the San Joaquin valley while attending college. After spending three-plus years pursuing an engineering degree at Fresno State, Ravi dropped out, moved home to LA and attended the Musician's Institute in 1992-93, leaving the school with honors from their BIT program. Even though the school did and still does have a reputation as a "rock" school, Ravi spent all his time at the school in the care of tremendous players and teachers, who could answer any musical question arose, in any style, and it was there that he began to learn about the role the bass carries in that great traditional American artform known as Jazz. He didn't know it at the time, but he was already hooked. After school Ravi toured the coast of California extensively with Agustin Lira y Grupo Alma, a folk group based in the Fresno area, led by a former activist of the United Farm Workers, who co-wrote the plays for the Teatro Campesino in the middle 60's and early 70's, and wrote most of the most important music for the movement at that time. He also toured extensively in Europe, playing roots and country music, and toured across the United States from coast to coast as well. Since that time he has played literally thousands and thousands of shows, primarily in California, but also in Japan, India, Thailand, Cuba, and across the United States. Ravi's musical tastes run the gamut, including folk music, Mexican, Cuban, Brazilian, funk, soul, R & B, blues, rare groove, fusion, pop, songwriter stuff, and of course, all forms shapes and sizes of jazz ensembles, from two-piece to twenty- piece big bands. Around 2000, Ravi also started to become interested in recording music, and has engineered and produced several full length CDs since that time. 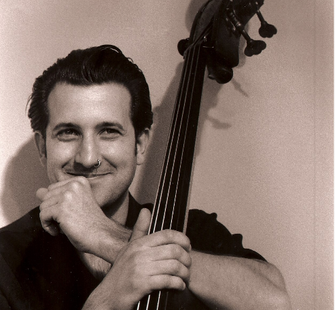 He is active to this day as a live playing and studio bass player in all styles, playing upright and electric bass, and as a tracking/mixing studio engineer for ensembles from two-piece to twenty-piece, and a live performance mix engineer as well.